Bad Toys II is a homage to Michael Bay’s “Bad Boys” films starring Will Smith and Martin Lawrence. The short 5 minute film tells the story of two cops involved in a car chase with a gang of thieves. 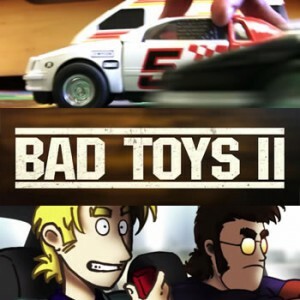 Bad Toys II perfectly recreates Bay’s signature blockbuster action style with a mixture of live action and animation that switches between a comic book strip and toys on a playroom floor. The short was created by Frenchmen Daniel Brunet and Nicolas Douste.